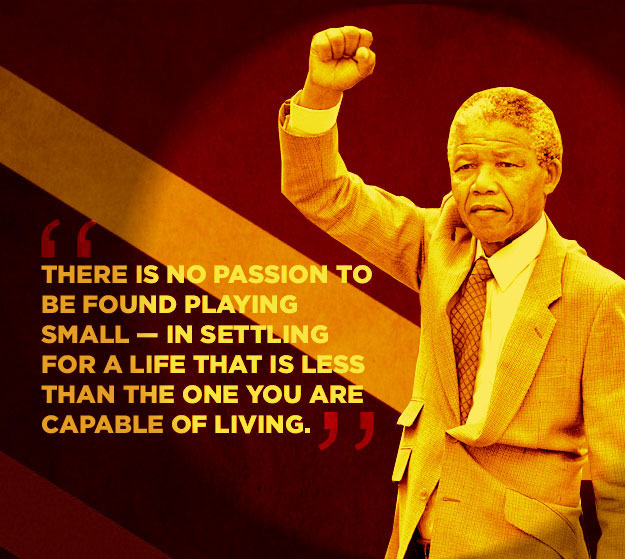 On December 5, 2013, the world lost Nelson Mandela. At age 95, he had lived an incredibly full life and news of his ailing dominated headlines this year, so hearing that Mandela had passed made me feel a strange mixture of sadness and acceptance. As Bishop Desmond Tutu expressed, “we are relieved that his suffering is over.” Feeling relieved doesn’t mean that your heart doesn’t hurt. We have lost one of the world’s greatest. We have lost a man who changed the world. 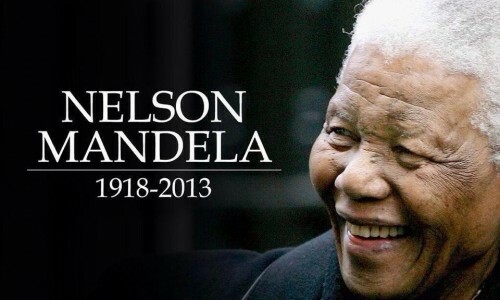 We have lost one of the most iconic human beings, a living symbol of freedom and hope and the power of change. The weight of that loss cannot be understated. 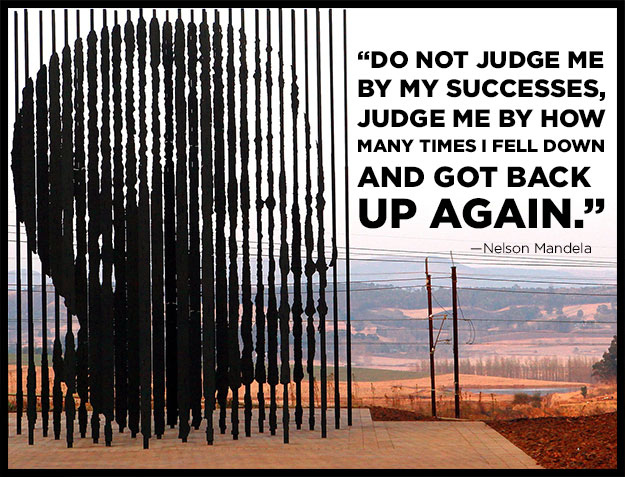 To use a popular cliché, Nelson Mandela walked the walk and talked the talk. 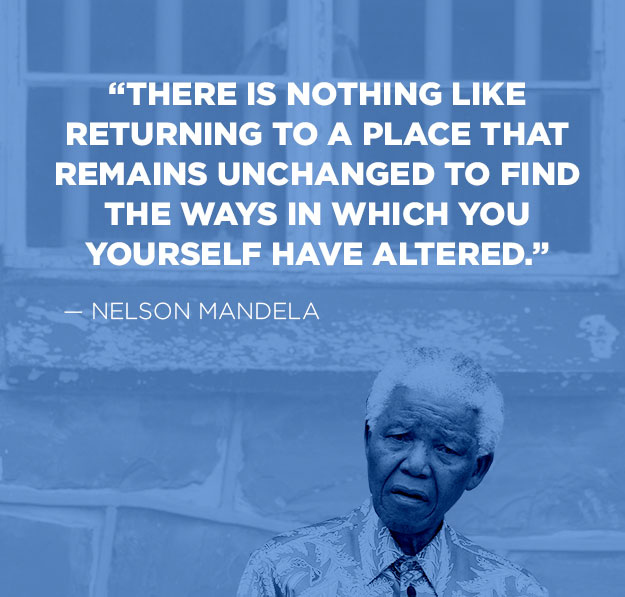 He endured imprisonment for 27 years, and emerged to lead his country out of the shadows of apartheid and into a new dawn of human rights, equality and justice. 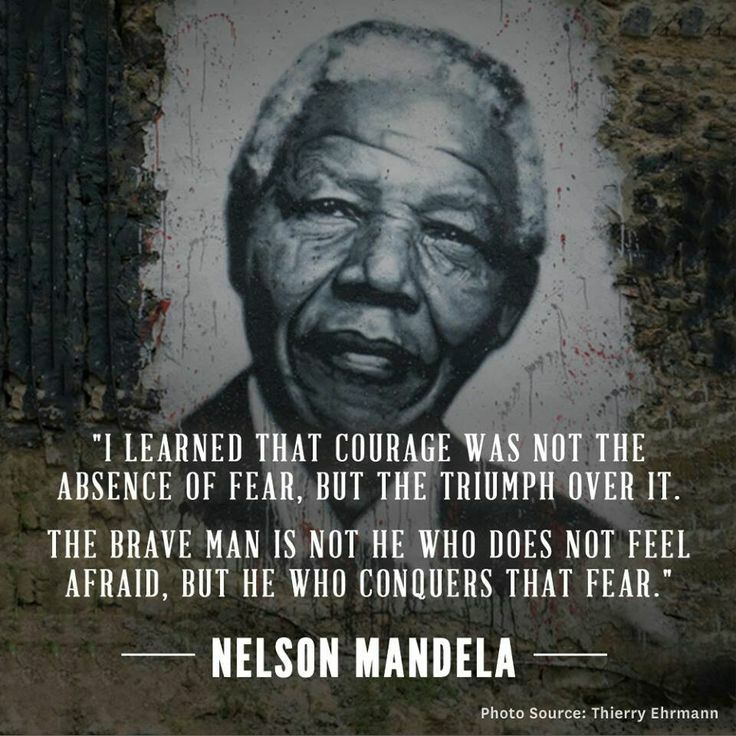 Mandela became an internationally beloved hero for his achievements. He was a troublemaker for peace. He achieved so much and inspired so many. Now that he has passed, we can only pray that he rests in peace and power, and that his life’s legacy will continue to be one of inspiration, greatness and equality for all. In the wake of Nelson Mandela’s death, I can’t help but consider the ways we could live up to such a legacy. Mandela’s shoes are so big, you might wonder what a regular person could do to fill them. I say, measure your life in terms of your intentions and your steadfastness, and celebrate Mandela’s legacy by speaking out for what’s right, leading by example, and sticking to your ideals. Here are things we could all do, to live a life more like Nelson Mandela’s. – Don’t be afraid to speak out about what you believe is right. — Never settle for a small existence. Live a big life. Make a difference. — Strive for perfection. Don’t let fear of failure stop you from trying. And as a final addition, I would like to say this. Not everybody is going to like you, and frequently people’s reaction to you says more about them than it does about you. Read this to see what I’m talking about. 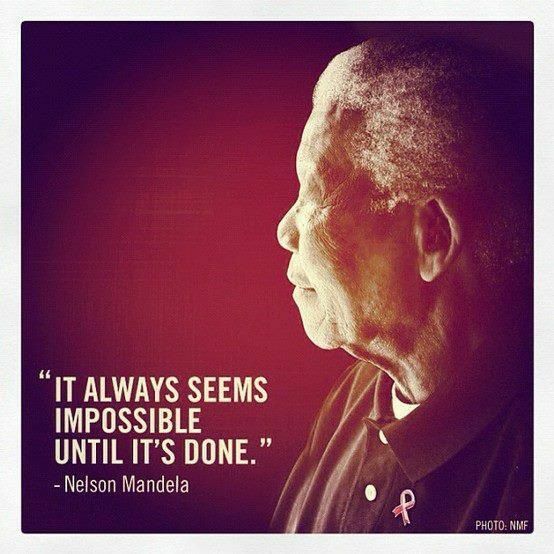 Rest in power, Nelson Mandela. Thank you for everything you did, to sow seeds of love and equality for generations to come. Photos via Buzzfeed and Pinterest. What a beautiful post and reminder to make the most out of every opportunity to leave this world a better place than we found it! Love this! Thank you for writing and reminding us of how great he was. We have to put into practice what he taught until it becomes second nature! This is an absolutely beautiful post! We can start within our communities, our schools and churches/places of our faith. Start today and watch our actions and words touch others and let it be in a positive way. 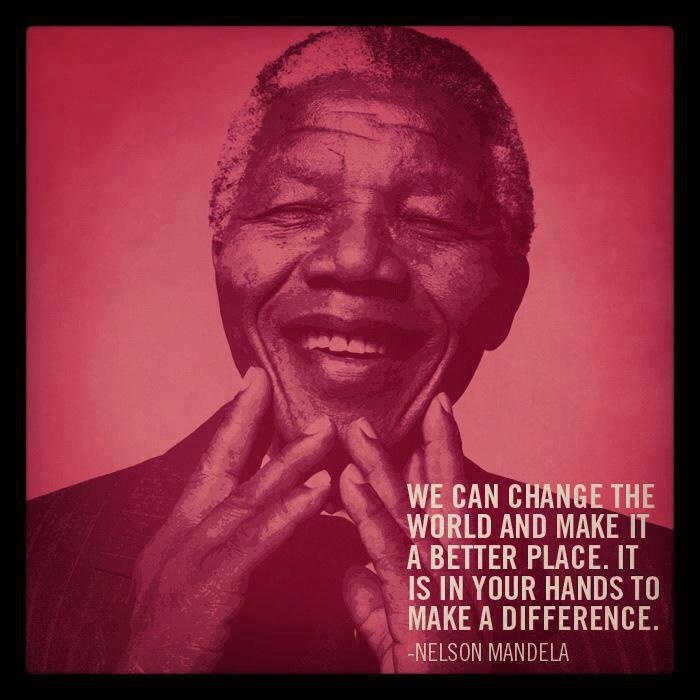 I’ve a lot of Nelson Mandela quotes on my computer because he’s inspired me to be a better person. He’s a huge loss but at the same time, one of the greatest gains of humanity. 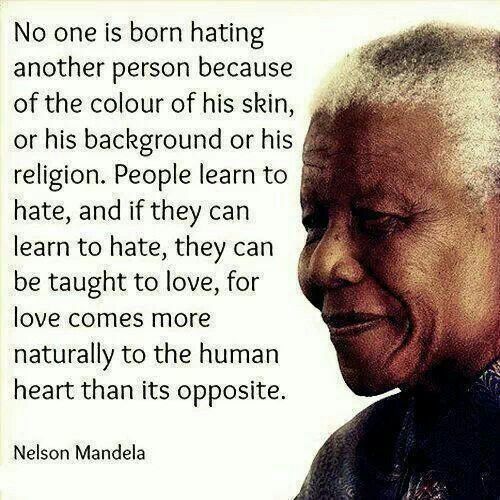 RIP Mr. Mandela. I had the pleasure of meeting our Dear Tata at a childrens charity event in 2002. I remember his presence when he entered the room. Everyone was quiet and stared in awe at the magnificent man before them. He later asked to meet me, after I sang a few songs in honour of him. I couldnt believe my luck! I wish I had got a picture, but I was so awestruck, I didnt even think to ask. What a magnificent Man.